The channel, which launched in 2009, is repositioning itself as a broadcast / digital service with a new ABC ME app for school-aged children. ABC ME says the new-look channel will help show (but never tell) Australian kids where they fit in the world today. A rebrand will begin on September 19, a complete digital and broadcast service designed to reflect and celebrate the lives, interests and diversity of young Australians. The new app can be personalised by the user, with an optional parent section to offer control over the content. New programs will include a weekly pop culture review show News to Me, sci-fi animation Prisoner Zero and short-form documentary series This Is Me. Returning titles will include Nowhere Boys, You’re Skitting Me, Little Lunch, Good Game SP and Behind the News. New short form content will enable children and their families to express their own ideas and opinions. ABC ME will be broadcast on Channel 23 on Free to Air and Channel 723 on Foxtel from September 19. Further details of the app will be announced on September 19. The ABC Children’s slate comprises both internally produced content and commissioned programs financed with our key production partners including Screen Australia, the ACTF, Screen NSW, Film Victoria and Screen Queensland. Want to know how to make something? Just ask ME! From food art, to origami, to hairstyles, to paper planes, Create is a series that inspires and educates our audience with fun arts and craft ideas that they can try at home. Bright and colourful, it is an entertaining aerial style format that breaks instructions down with easy-tofollow visual references. A high-octane travel series hosted by Grace Koh, who joins kids all around regional Australia to ‘Walk’, ‘Meet’, ‘Splash’, ‘Eat’ and ‘Jump’ around their hometowns. 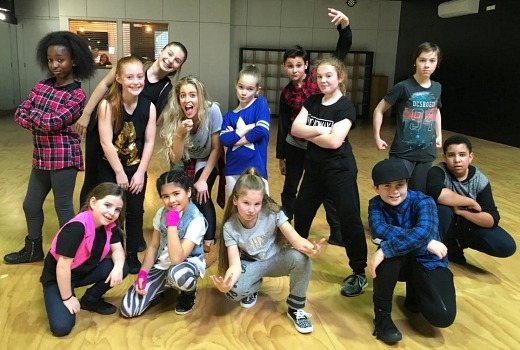 Want to dance like Justin Bieber, Taylor Swift or Justice Crew do in their music videos? Our resident experts Jess Quinn and the ME dance crew are here to show you how! Viewers are invited to submit their videos which will be played on air (with the approval of their parents or guardians of course!) in a repackaged version of the original. Everyone can be part of the ME dance crew! Presenter Tim’s ultimate goal is to learn every football skill out there! He needs expert help for a dream this big, and calls on guests such as The Matildas, Australia’s #1 street footballer, Karl Faraj and Australian freestyle football champion Jordan Morrison. 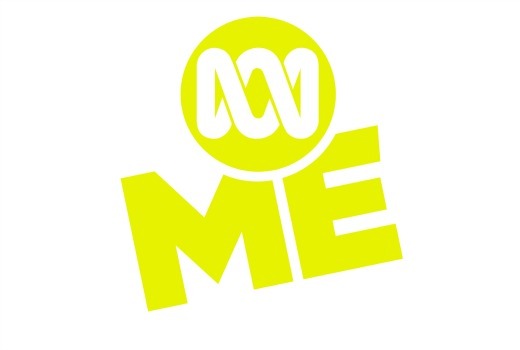 News to Me – News to Me is a weekly wrap up clip show designed to present what is trending in our audience’s lives and any big ABC ME news, featuring audience interaction and UGC. This is Me showcases young Australians sharing their thoughts about their life, friends and family with humour and energy. It features local stories that children can relate to and may learn from. From muscular dystrophy ambassador Scott who has ambitions to run his own travel agency for disabled adventurers, to Tjiidim who shares his deep connection to culture, to Bertha who loves maths and science, speaks three languages and enjoys fencing. These stories shine a light on the ABC ME audience and what life is like in their backyards. It is another time, another galaxy. Two young teenagers, Tag and Gem travel through space, each searching for their missing parents whilst figuring out their identities and place in society. They are befriended by Zero, a mysterious stranger, with no recollection of his past, who takes them under his wing and protects them from aliens, renegade robots and the evil Imperium. This is sci-fi action adventure with heart, a unique take on the genre, tackling contemporary themes such as enforced adulthood, resilience and teamwork – in the most difficult of circumstances, deep in the heart of space. Winston Steinburger & Sir Dudley Ding Dong is a fast-paced, high-energy animated comedy that follows the intergalactic exploits of Winston Steinburger, his cat Dudley, and a highly-strung alien named Hampton – three unlikely amigos seeking out adventure in the Globulus Galaxy; a busy stretch of alien-infused space, millions of moons from earth. Based on the award winning Australian graphic novels, The Deep follows the adventures of the Nekton family – a brilliant team of underwater explorers, travelling the globe in their submarine home, The Arronax. With state-of-the-art technology and an unquenchable thirst for discovery, The Nektons explore the mysterious depths of the ocean, discovering sleeping and often forgotten creatures and unearthing long lost artefacts. The Deep is a place where leviathans swim through sunken cities, where pirates lurk amidst floating black markets and where a mysterious group of Guardians hide long lost secrets. To air later in 2016 Emmy award winning series Nowhere Boys returns with an all new cast, including Kamil Ellis (Cleverman, Bushwhacked! ), our first ‘Nowhere Girl’ Luca Sardelis (Barracuda), winner of Melbourne International Comedy Festival’s Class Clowns, William McKenna, musical theatre actor Jordie Race-Coldrey, and Joe Klocek (Barracuda). The series picks up back in the fictional town of Bremin, a few years after the epic battle in which the original Nowhere Boys sacrificed their powers to restore order. When Luke (Kamil), a tech-nerd and sci-fi enthusiast, arrives for his first day at Bremin High, everything appears to be tiresomely ordinary, but he soon learns nothing in Bremin is as it seems. He quickly finds himself thrust together with Heath (Joe), Nicco (Luca), and Jesse (Jordie) into a new Nowhere Boys adventure to save the town. Drawings are normally stuck to the wall, pinned to the fridge, or buried in a drawer. But with Doodles, your drawings can become hilarious, animated micro-movies. Just draw a character of anything you like, take a picture of your drawing and submit your drawing online. Your doodle could be selected to be turned into an animation for ABC ME! Edgy sketch comedy, You’re Skitting Me, returns for a third series, comprised of a combination of contemporary and random sketches featuring characters, monologues, parodies, ads and animations. In this new series we will meet engaging new talent from across the country, in a new quarter hour and online interstitial format. Embarking on the ultimate school trip, survival expert Bear Grylls challenges ten children from diverse backgrounds to forget their gadgets, leap off the sofa and head into the wild for an epic adventure. For two action-packed weeks they’ll live in the remote Welsh hills alongside their hero, one of the planet’s best survivalists. There they learn how to forage, make fire and build shelters, camping in extreme locations as Bear sets life-defining tasks to test their limits and remote cameras capture the realities of wilderness life. On this unforgettable journey, can these city kids become bona fide survival experts? This fun and fearless series is guaranteed to inspire the wilderness spirit in a brand new generation. Hosts Mark Wright and Lauren Layfield enlist expert designers and builders to construct dream dens for lucky youngsters. A compelling dance-drama that follows the lives of an elite group of young dancers as they balance the pressures of competition with the trials of growing up. Annedroids is a science-based action-adventure series for 6-9 year olds. It follows 11-year old genius and kid- scientist Anne, who loves nothing more than doing cool experiments. Anne has invented and built her own amazing androids to help her out. Annedroids are thinking, feeling creations with curious, endearing personalities. Thanks to their insatiable curiosity, Anne’s experiments always lead to unforeseen complications and misadventures. Meanwhile, I wish that Channel 7, 9, and 10 would rebrand into something more creative, like three-letter acronyms. I knew the change was coming a couple months back as someone let it slip at the ABC when I did a studio tour before seeing the Weekly being recorded, don’t think he was meant to have said it, but he did. Sounds wanky. ABC me, me, me. As if the younger generations aren’t self obsessed enough. Wow! So what is happening to Studio 3? Will Degrassi and rage be on ABC ME? It’s a channel for kids. If it was named after the “me generation” it’d be a channel dedicated to the baby boomers.